This morning I was reading a post in the Pedalboards Facebook Group about “always on” pedals to help with tone. I’ve had a lot of discussions around this topic. The usual pedals that are mentioned are the Xotic EP Booster, BBE Sonic Stomp or some type of transparent overdrive like Tim/Timmy. All of these pedals are great and can give your signal a little love. Guitarists and bassists have been demanding a foot pedal version of the legendary BBE Sonic Maximizer and the wait is finally over! Many musicians don’t have a spot for the rack mount unit, but long for the legendary clarity, definition and punch that only a Sonic Maximizer can provide. 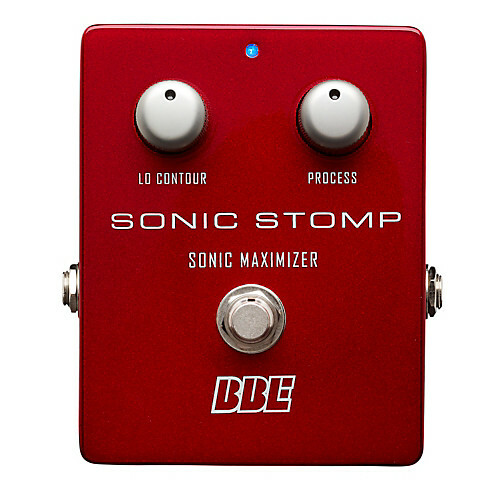 BBE took heed and carefully designed the Sonic Stomp foot pedal which delivers the same amazing sonic improvement as our popular 482i Sonic Maximizer. Other features include hard-wire bypass, non-slip rubber bottom, easy-access 9v battery compartment and included external power supply. BBE Sonic Stomp Deal Great deal on BBE Sonic Stomp Sonic Maximizer Pedal at Amazon Killer Deal on BBE Free Fuzz Screaming deal on the BBE Green Screamer!